Applying atomic layer deposition (ALD) to biological macromolecules opens a route to fabricate metal oxide nanotubes and thin films with embedded biomolecules. The combination of biomaterials and ALD does not yet allow for a construction of a device. However, there are some indications that the synthesis of thin films with embedded functional biomolecules, such as ferritin, might be suitable for e.g. flexible electronics. Carbon nanotubes have been used as nanoreactors in a simple thermal reaction process for the fabrication of high-quality, large-yield single-crystalline magnesium nitride nanowires. These nanowires are homogeneously sheathed over the entire lengths with very thin graphitic carbon tubular layers, which effectively prevent the decomposition in the presence of water in the atmosphere. Researchers in Belarus developed a new technology that significantly improves the safety of using laser nano-thermolysis to destroy cancerous cells. The method, dubbed LANTCET (laser activated nano thermolysis as cell elimination technology), uses clusters of gold nanoparticles to create vapor microbubbles that can kill targeted cells. The ultimate internal pressure that carbon nanotubes (CNTs) can resist is only an order of magnitude below the pressure in the center of Earth. Using this high strength against internal pressure, researchers have used CNTs as pressure cells for the deformation of crystalline materials. Controlled irradiation of multiwalled CNTs can cause large pressure buildup within the nanotube cores that can plastically deform, extrude, and break solid materials that are encapsulated inside the core. Carbon nanotubes thus offer a template for use as compression/extrusion cells to study pressure-induced phase transformations and deformations of various solid nanomaterials. 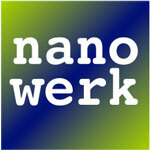 One-dimensional nanostructures such as nanowires, in particular semiconductor nanowires, have unique applications in the fabrication of nanoscale devices. How to control the growth of semiconductor nanowires is one of the most challenging issues presently faced by synthesis chemists. Setting a milestone towards fast DNA sequencing by a nanopore device, researchers developed a solid state nanopore device that can detect the difference between single molecules of double and single stranded DNA at high speed, with high accuracy, and at extreme pH. This research is a key step to develop a nanopore sequencing machine. More immediate application may be the sensing of long chain polymers for medical diagnostics. Cantilever based back-illuminated full body glass tips with thin metal layers can be used as apertureless optical near-field probes with single molecule sensitivity and optical resolutions down to 15 nm exceeding by far the classical diffraction limit of Abbe. The scientific interest in magnetic nanostructures, both from a fundamental viewpoint and also due to their potential in a wide range of applications, over the past few years has led researchers to develop various nanofabrication methods for synthesizing nanomagnets. Applications for nanomagnetic materials include non-volatile magnetic random access memory (MRAM), highly sensitive magnetic field sensor, field programmable spin logic, and patterned media for ultra high density data storage.